Thank you Trenton Farmers’ Market. 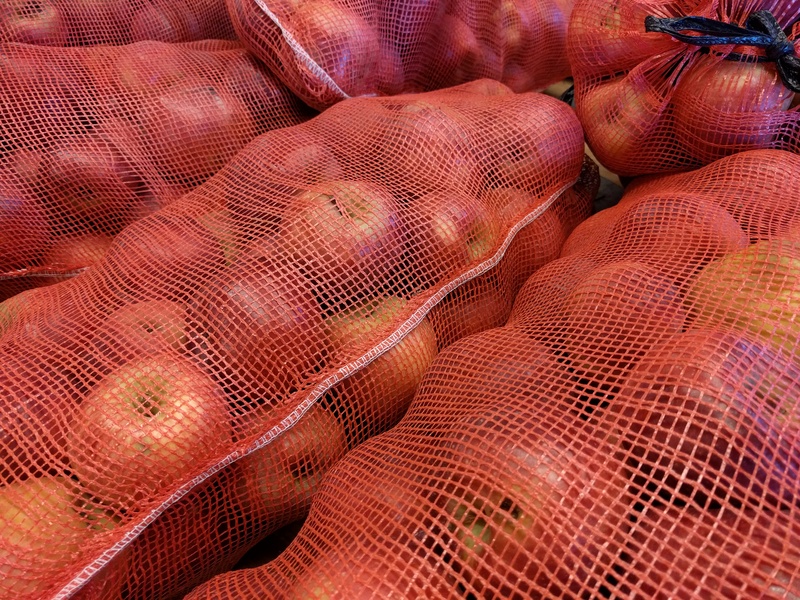 Where else can you buy a bag of apples for $6 the day before Thanksgiving? 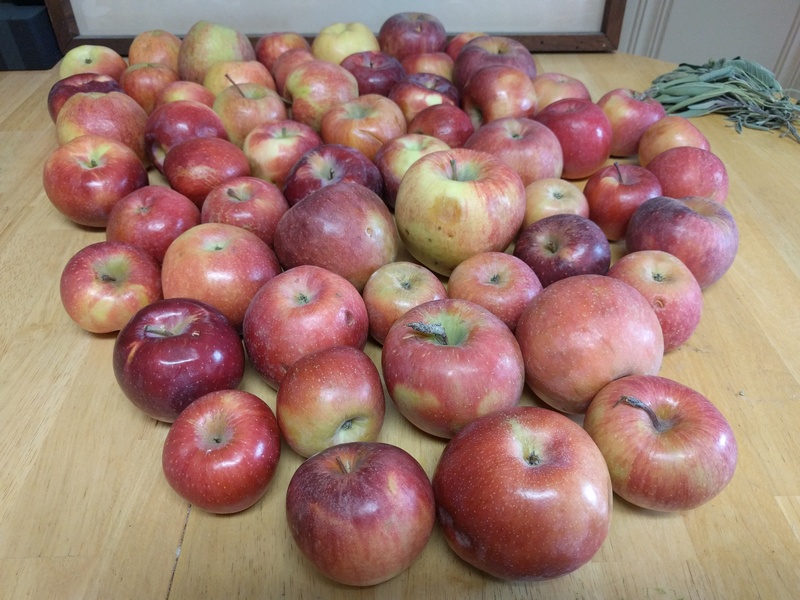 There were also 55 apples in the bag, but who’s counting. 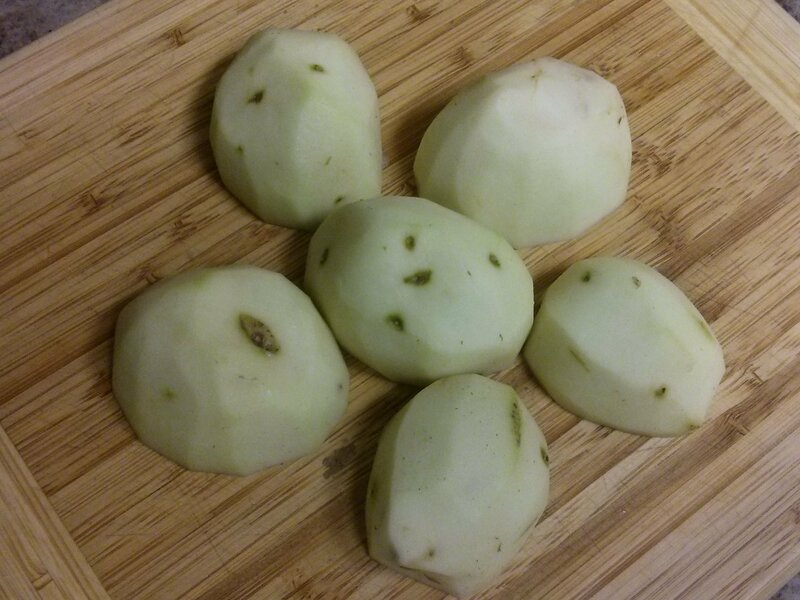 It took me exactly 30 minutes to peel the 55 apples, which means I peeled about 1.8 apples/minute, but again, numbers. 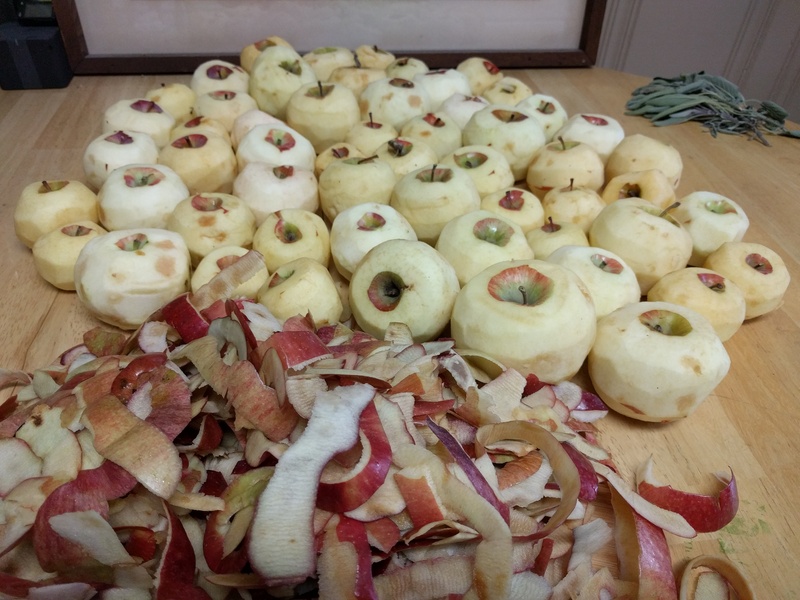 What is important is that with this many apples, you can make a fair amount of applesauce. How much applesauce, you might ask? Ah yes, another number! Several numbers actually. By the time I had finished making the applesauce, it was time to eat Thanksgiving dinner at my parents’ house. So I borrowed a tape measure from my mom and made a few quick measurements. And then a week later, I did the calculations, and made some new art math. Yes, that’s right. 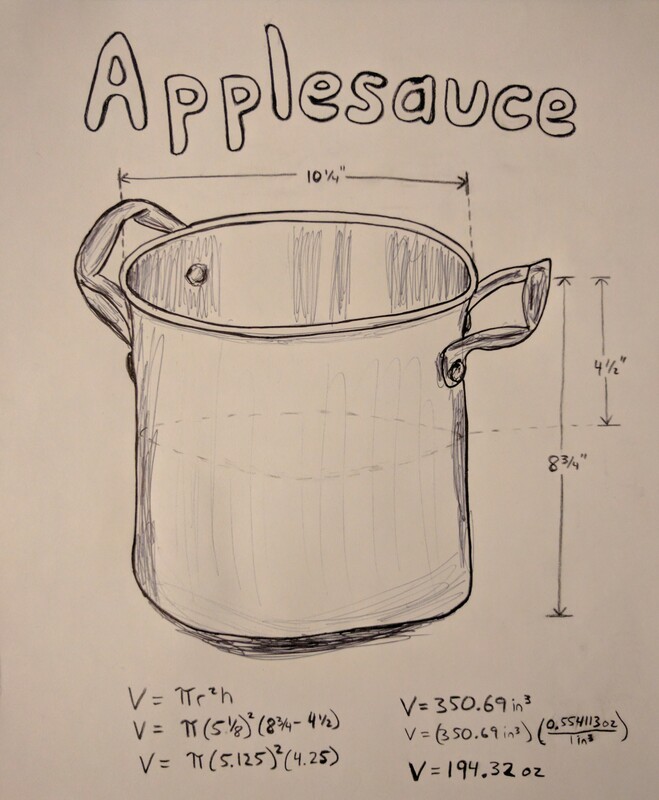 I made a gallon and a half of applesauce. The great thing about applesauce, though, is that you don’t have to make 194 ounces to enjoy it. You can make as much or as little as you like, it’s really easy to make (one ingredient! ), and it tastes so good and naturally sweet. If you’ve never made it, give it a try – here’s the recipe. As the apples heat up, they become soft and release some of their juices. Then they do all the work themselves and cook themselves into applesauce. If you want to speed things up, you could add a little apple cider or water at the beginning, and you could also cook them covered for a bit. 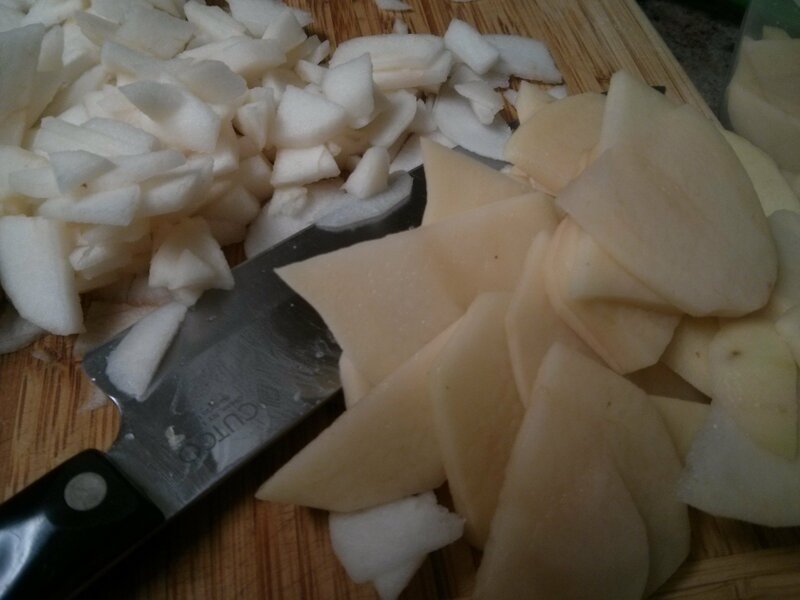 Towards the end, you could use a potato masher too, if what you want is smoother applesauce more quickly. Whatever you do, make sure to stir the apples occasionally so they don’t stick to the bottom of the pot and burn. 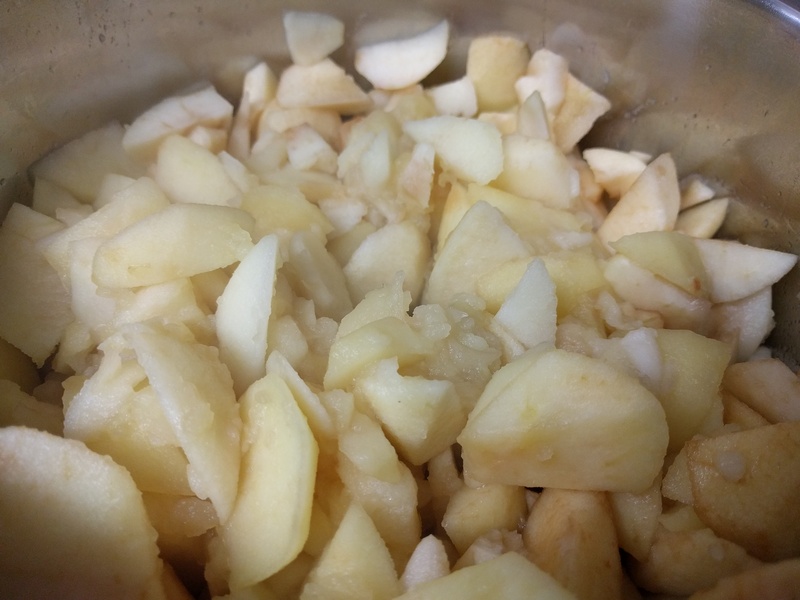 There’s nothing like having to use a second or third pot on a single batch of applesauce, and then having to do a multiple-pot-cleaning (scrubbing) afterwards. I mean, hypothetically speaking of course 🙂 My last note is that all types of apples are good to use. 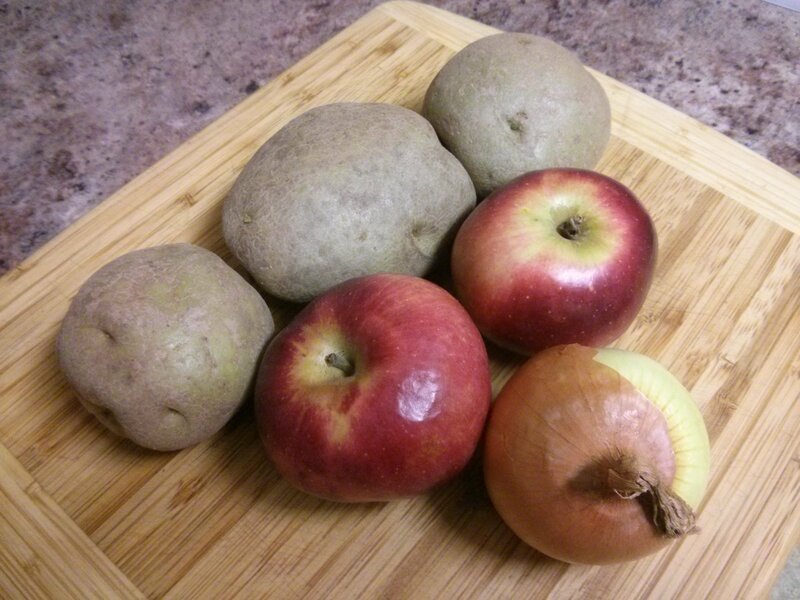 For the sweetest, richest applesauce flavor, I’ll use several different types of apples together. But what about the brownies? I thought there were going to be brownies! Applesauce Brownies!! And while we’re on the topic, what is an Applesauce Brownie??? Yes, exactly! 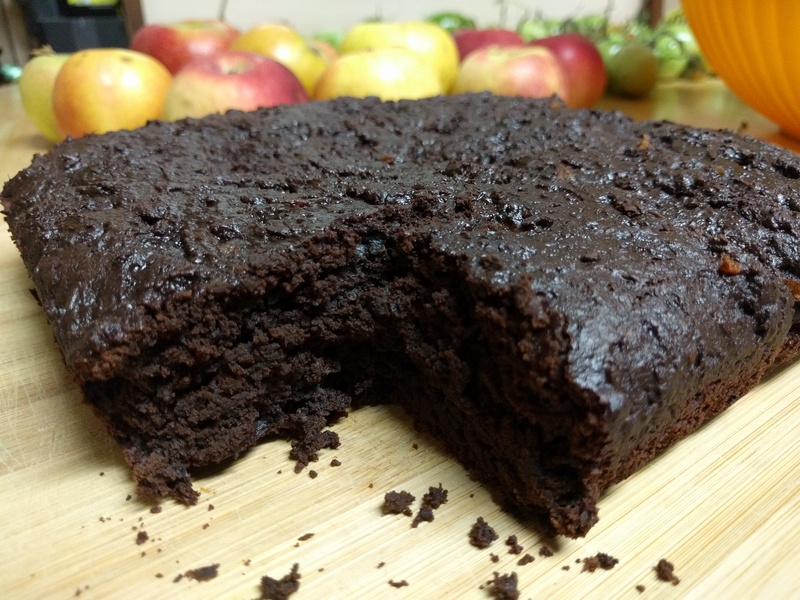 I was wondering what an Applesauce Brownie is too, so I made some. I’d actually been wondering this for a while, as I remember having eaten them once as a kid and having been amazed that they tasted like brownies despite having applesauce in them. Lucky for me, I now had one of the main ingredients on hand, and in abundance. So into the kitchen I went: Curiosity plus surplus equals creation. I looked up a brownie recipe in a printed cookbook, searched for applesauce brownie recipes online, and then on the advice that applesauce is a big ingredient in vegan baking, I searched for vegan applesauce brownies too. Could applesauce be that versatile? And in the same recipe?? I thought, Let’s find out! The short answer to both questions is yes. The long answer is it took me two tries to come up with a recipe that I liked. 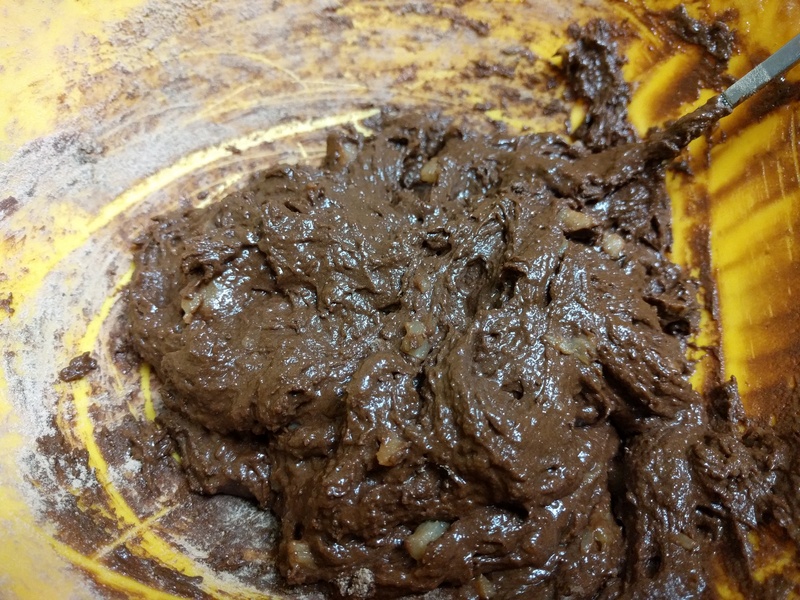 For the first version, I used the following: applesauce, cocoa powder, salt, sugar, vanilla, and flour. It turned out alright, but it also came out a little flat, literally, and had an interesting chocolately, apple tangy flavor. 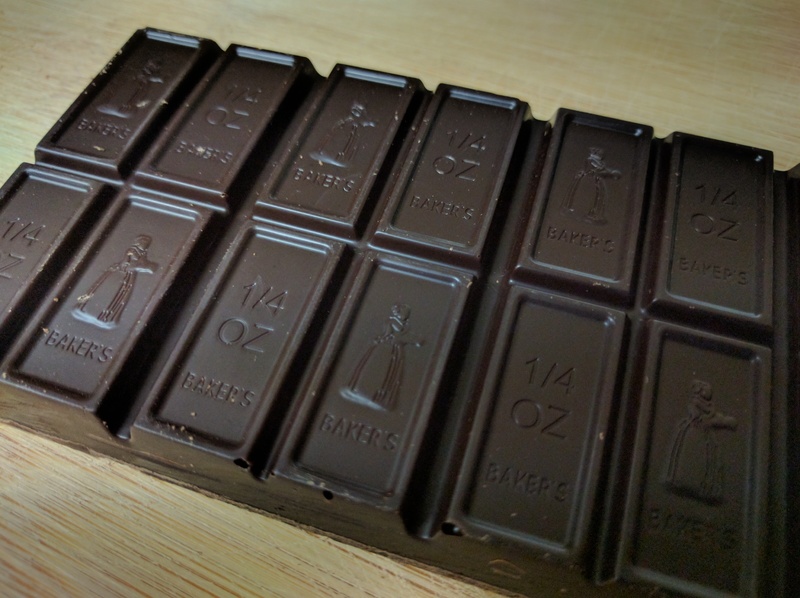 When making version two, I included the three ingredients I figured had been missing in version one: baking powder, baking soda, and chocolate. And the result? It’s not easy to predict the future, but I do believe mine will include the following: additional apple purchases, more applesauce making, and now also vegan applesauce brownie baking. And if you want, you can even have them side by side. This entry was posted in Uncategorized and tagged apples, applesauce, art, chocolate, dessert, food, math, recipe, vegan, vegetarian on December 4, 2016 by dave379. It’s a new year, and it’s time for some new potatoes. According to my notes, I actually made it for the first time in late December. I’ve been playing with it in January though, and let me tell you, it’s a good one to play with since it tastes really good. Sweet, salty, rich, and tart. Sometimes together, and sometimes one after the other. What’s the secret? The three title ingredients, and the white wine and all the rest. I took some pictures and made a drawing along the way, too. Say what you may, but sometimes potatoes just gotta speak for themselves. 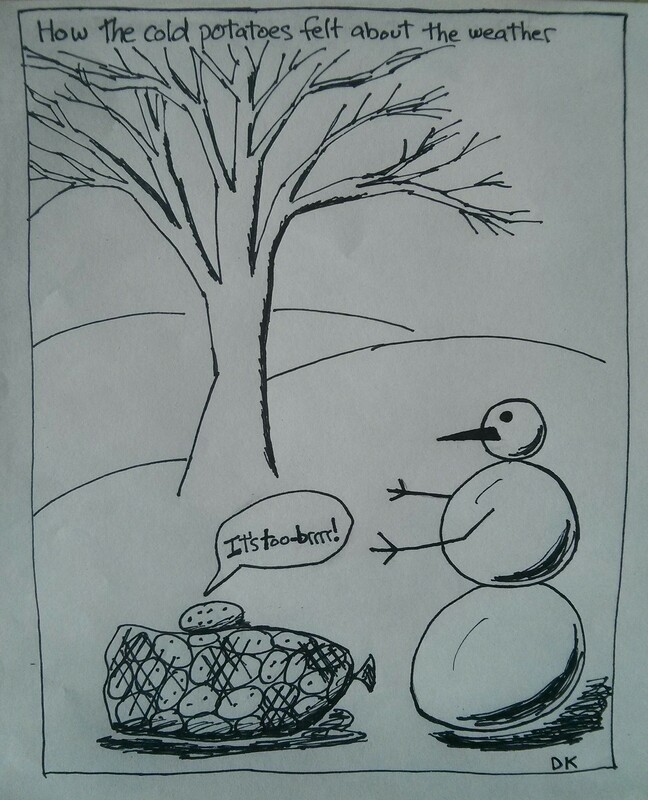 Can you tell I just took a cartooning class? But back to the recipe – yes, this is a good one, and easy. 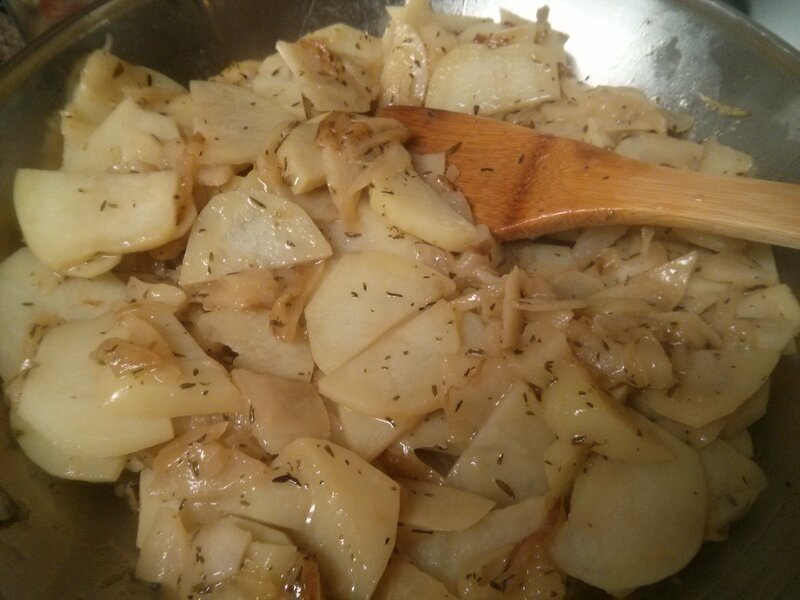 I sliced the potatoes and apples into relatively thin pieces (white potatoes and macouns, but you could use other ones) and used the wine that I had on hand (Pinot Grigio). You could skip the butter if you want to make it vegan – it tastes good with or without it – and you could also scale it up if you want to make more. The first two times I made it, I also used more olive oil (2 Tbsp one time, and 1 1/2 Tbsp the other time), but I found that 1 Tbsp also worked, so that’s what I included here with the recipe. Yes, that’s a baking sheet on top of a baking dish. The last step, after letting it cool for few minutes, is to summon the foundations of self-restraint and not eat it all right away. Or, just go ahead and keep eating. This entry was posted in Uncategorized and tagged apples, art, cartoon, food, potatoes, recipe, vegan, vegetarian on January 31, 2016 by dave379.